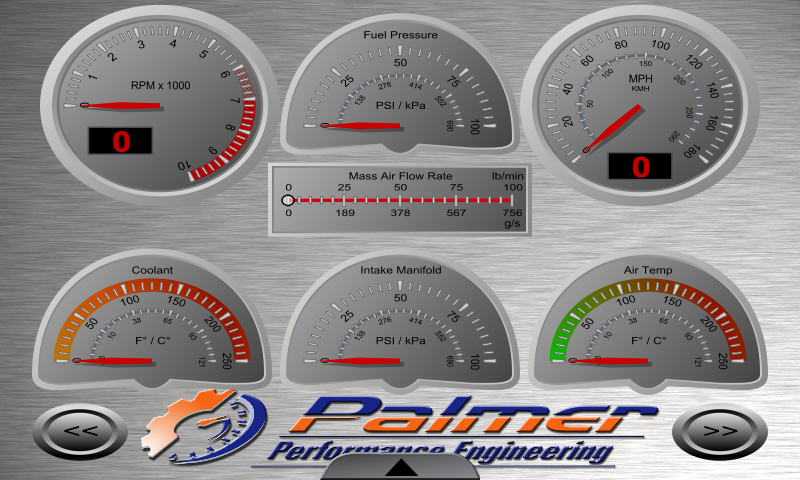 DashCommand - Palmer Performance Engineering, Inc.
DashCommand™ for Windows is a touch screen friendly software application that is designed to integrate OBD-II data monitoring and logging into the in-car computing experience. Use DashCommand's capabilities to create and display stunning virtual dashboards with styles ranging from digital gauges to analog gauges. Thanks to our patent-pending DashXL™ technology, the dashboards look great on any screen size, large or small. 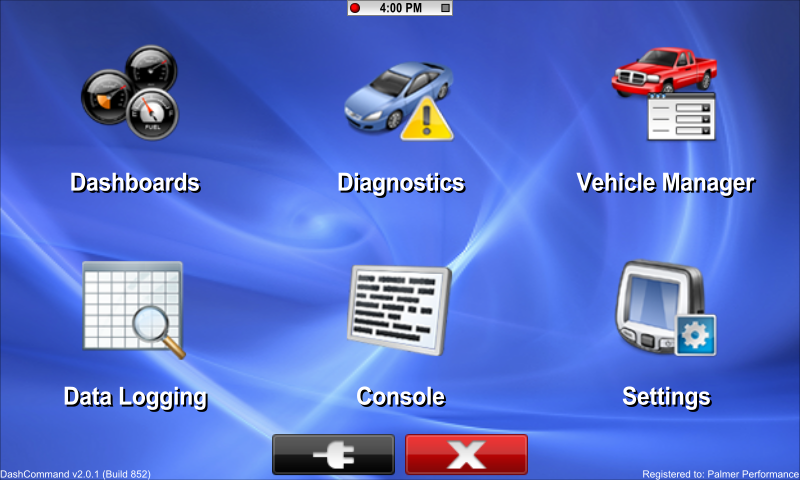 DashCommand™ supports all OBD-II and EOBD compliant vehicles from around the world. It is designed primarily for touch screen displays but it is just as capable running on any desktop or laptop computer with a mouse or a touch pad. DashCommand™ is compatible with Windows 95, 98, ME, NT, 2K, XP, Vista, and Windows 7. Use the DashXL™ Skin Editor to create your custom interactive virtual dashboards or modify and customize the ready-made dashboards available for download from DashXL.net. The dream of having a full function virtual dashboard at your finger tips that matches the style of your existing dashboard can now be realized. Use DashCommand's data logging capabilities to record logs from a dashboard or a data grid view and then playback your logs in either view for simple analysis tasks. The logs can also be viewed in ScanXL from more thorough analysis. DashCommand's basic data capabilities can be augmented with scripts written in ScanXL. The scripts can be imported to supplement the data that can be displayed in the dashboards. Write scripts to calculate fuel consumption, boost pressure, power, torque, and many more based on the OBD-II sensor values. If the need ever arises, DashCommand can read and clear your trouble codes when your Check Engine Light comes on. DashCommand can also be used with multiple vehicles and helps you keep track of each one using its built-in vehicle manager. If you use DashCommand on the same computer as ScanXL, the vehicle data and log files are automatically shared between the two applications. DashCommand™ for Windows currently supports ELM compatible, Innovate Motorsports OT-2 and J2534 compliant OBD-II interfaces. Visit the user forum for discussion and information about DashCommand™, product features, and new releases.